A Pennsylvania woman faces three and a half to 10 years in prison as she heads to trial beginning October 6 for violating New Jersey’s state gun laws. Shaneen Allen, 27, was the victim of two robberies in her south Philadelphia neighborhood. So, last September she purchased a handgun and obtained a permit that allows her to carry it in the state of Pennsylvania as well as a host of other states that have CCW reciprocity agreements with Pennsylvania. Just a week later, Allen, a single mother of two, drove across the Delaware River to New Jersey to prepare for her son’s birthday party. She was then pulled over for a traffic violation. Upon being approached by the police officer, Allen presented her license, registration and carry permit and volunteered to the officer she was carrying a handgun. Not knowing that the state of New Jersey does not recognize out-of-state carry permits, she was promptly arrested and spent 46 days in jail, nearly losing both of her jobs, her home and her children in the process. Allen has no prior criminal record, so her attorney, Evan Nappen, the top firearms attorney in NJ, petitioned for her to be enrolled in a diversionary program that allows first time offenders to avoid jail time and maintain a clean record at its conclusion. Unfortunately, New Jersey District Attorney Jim McClain denied this request, and Superior Court Judge Michael Donio denied an appeal to overturn this decision. However, back in May, McClain and Donio allowed star NFL running back Ray Rice to enroll in this same program after he was charged with beating his wife unconscious in February. New Jersey’s absurd gun laws unfairly punish law-abiding citizens, and hopefully cases like this one will exponentially increase the support for a proposed federal legislation that would mandate right-to-carry reciprocity among states. Nappen, like the rest of us, wants the jury to use simple common sense and invoke jury nullification. This is a constitutional doctrine that allows juries to exonerate defendants who are technically guilty but do not deserve to be punished. This would be a huge step toward federal reciprocity, as overdue as it may be. A legal defense fund for Allen has received nearly $40,000 to date from more than 1,000 generous donors. Here is a link to a great video that explains it in even more detail. Outrageous! Why didn't the officer just let her go on her way with a ticket for the traffic infraction? Discretion is the better part of valor and this officer has no valor. And, what's up with the DA? Election grandstanding? Perhaps the NRA will find a worthy opponent the next time he runs for office. Here in NJ, the situation is beyond abusive and repressive towards gun owners. It's unfortunate that officials that should conduct themselves as role models would essentially tell a person that it's better to lie. I know this will not be a popular opinion but after living in the northeast for 35 years and commuting home to Virginia three times a month from Long Island I am and have been very aware of the different gun laws of the states I passed through on my travels. Every gun owner knows NJ has some stiff semi auto laws and have for years, I remember when the now very well known ban on Semi Automatic Firearms Law in NJ took effect. Shame on her for not knowing the laws of another state before transporting a firearm through it. There just isn't a valid excuse for what she did and she will go to jail for sure. Shes not the first to run afoul of NJ's crazy hand gun laws. I remember one case that involved a member of the Military's (Army, Marines?) competitive shooting team that was pulled over on the NJTWP for speeding while transporting his firearms for a competition. He was promptly arrested, tried and convicted even though the Military strongly objected and if memory serves me was represented by a JAG Lawyer and convicted none the less. It's the gun owners responsibility to know the Firearms Laws of any State they intend to transport Firearms through especially these days, period...... I hold concealed carry permits in several States including New York but was turned down by NJ both times I applied so I decided that finding another route was in order if I was to travel from NY to Va. I've done some additional research since Shawn emailed me this article and if you hold a concealed carry permit in any state just read the warning on the back of the permit or the application you filled out to get the permit and you will find in more than one place the statement that the permit is only valid for the State it was issued in and if you intend to cross into another State be sure you know the Laws of that State as well. As with any crime ignorance of the Law is not a valid defense. I think it is highly likely She will become very familiar with the NJ Dept of Corrections when all is said and done. I do feel sorry for her but responsible gun ownership is just that. The real shame here is she will come out of this as a convicted felon and never have the right to own a firearm in any State and as for the Officer that arrested her just remember he was just doing what the voters of NJ require him to do. I believe you can let someone slide on a speeding ticket or a seat belt infraction but when it comes to Firearms should that Officer had decided to look the other way he should not be caring a badge! For all he knew she could have been part of a sting operation looking for Officers that allow people to transport guns through the I-95 corridor which is one of the most well known routes that gun and drug smugglers use to move their product from the north to the south and the south to the north. I wish her luck but I doubt it will do any good. Totally agree that the officer had no choice. Three points: 1. You absolutely must know the gun laws in states where you plan to be. 2. Never, ever, ever, volunteer extra information to a cop. Caveat, if your home state is "duty to inform" then informing in home state only is not extra, it is required. 3. Courts have the discretion to take mitigating circumstances into account--such as the fact that a person is abiding by their home state laws. It is just vicious of a judge and a prosecutor to prey upon an out of state individual's ignorance. And, finally, a federal concealed carry reciprocity law is long overdue. It is like the "right turn on red" law which used to be different from state to state until federal intervention. The law should be constructed such that as long as a person is abiding by the concealed carry laws of the state in which they are domiciled, they are in compliance with the laws of the state they are traveling through. That would be controversial as a states rights issue. However, the second amendment is not a states rights issue and the Supreme Court could take a case like this and make such a ruling. The judicial language to create such a ruling would not even have to be very lengthy. Lights & Holsters Tactical Store is a premier online retailer of top-end riflescopes, gun holsters, night sights, laser sights, and other firearms and weapon related gear. They are authorized and respected retailers of tactical and hunting gear by Leupold, Trijicon, Bushnell, Burris and more. They also specialize in concealed carry and offer for sale the full line of Galco Gunleather holsters and magazine carriers. Lights & Holsters also provides a free Gun Dealer & FFL Directory. This directory is 100% FREE to for both advertisers and the general public. It is a great resource to connect with your favorite firearms retailer or to find an FFL that will perform a transfer. Additionally, they have the highest respect for members of the US Armed Forces and Law Enforcement Community and continue to provide top-level customer service on a daily basis. 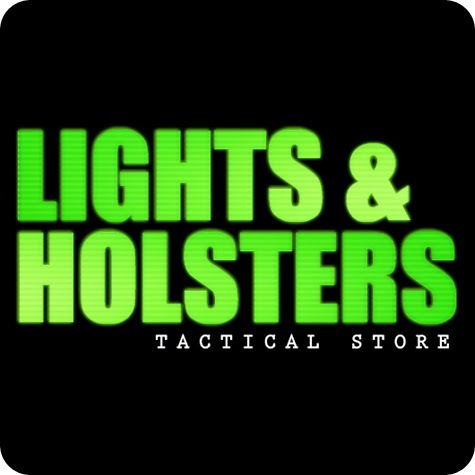 Look to Lights & Holsters Tactical Store for all of your tactical and firearms related needs! Copyright© 2014 Lights & Holsters Tactical Store. Simple theme. Powered by Blogger.